Cornerstone Academy in Kenosha, WI aims to educate all of our preschool students on the alphabet during their time at our daycare academy. That being said, it’s always helpful if parents decide to further the teaching at home. The same goes for teaching your small children to read at home. 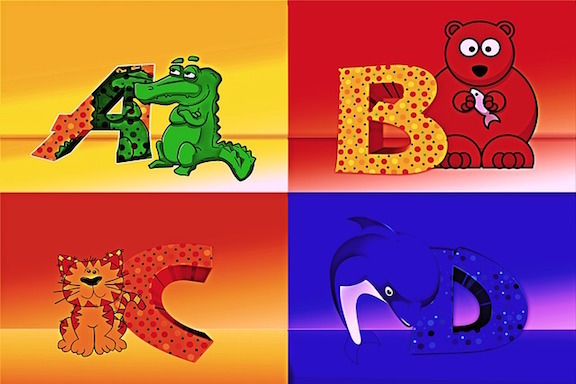 The easiest way to help your son or daughter start to understand the sounds of the alphabet and the letters is to teach them their name. Help them identify each letter in their own name and how to sound out the letters. Children are very used to the sound of their name and by identifying a few letters and sounds this way it will help them progress to additional letters of the alphabet faster. Point out the letters on different products and packages in your home. You can use a cereal box, for example. There are several words on a box of cereal and a lot of print. Try to see if your preschooler can identify any of the letters they’re learning on the box of cereal or other products. You can also point out billboards and road signs on car rides with your small child. Driving is a great time for educating children as there aren’t as many distractions. This is the easiest tip of all. The best way to help your child learn the alphabet and eventually learn to read is for you to read to them. We recommend one or two books every evening before bed and before naptime. Try to limit the amount of time watching TV (unless it is educational and beneficial) and substitute that time with reading for your toddler. Incorporate music into the times you are teaching your toddler about ABCs. There are several fun kid songs and recordings available online or for purchase that you can listen to with them in the car or at home. Small children will remember the fun music and the beat and it will help them start to recognize the sounds of the alphabet too! Instead of overwhelming your preschooler with the entire alphabet at once, you could try to just focus on one letter each week. Read books where the main character’s name starts with that letter and do activities that start with that letter. If possible, even prepare meals and snacks and other foods that begin with that letter too. Do this each week until you’ve progressed through the entire alphabet. You will need some patience in teaching your preschooler the alphabet but the help of parents goes a long way in our ability to properly educate small children on their ABCs.